Lloyd Schaap, age 90, went to be with his Lord and Savior, Tuesday, April 17. He was born to William and Susan “Boeve” Schaap and raised in Holland, Michigan. Lloyd was a founding member of Rose Park Baptist Church in Holland and a current member of Landmark Baptist in Haines City, FL. Lloyd was a committed Christian all of his adult life - a devoted Baptist and faithful servant. Lloyd Schaap was married to Charlotte Bouman Schaap for 64 years. He was a hard-working family man, retiring from Brewers City Dock after 40 years. Lloyd enjoyed wintering in Florida, family gatherings, gospel music and church attendance above all. He endured a long, hard fight with Parkinson’s Disease for 18 years. He is survived by his 6 children; Cheryl (Tom) Patterson, Nancy (Michael) Kirk, Mark (Jackie) Schaap, Mike (Cindy) Schaap, Doug Schaap, Lisa (Dolton) Robertson; 28 grandchildren; 29 great-grandchildren, sisters, brothers, nieces and nephews. 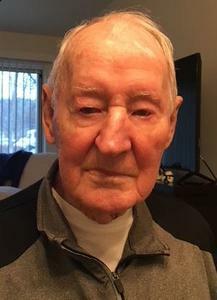 Visitation for Lloyd will be on Thursday April 19 at 11:00am followed by the funeral service at 1:00pm at Dykstra Funeral Home – Mulder Chapel, 188 W 32nd Street in Holland. In lieu of flowers, memorial contributions may be made to Hospice of Holland.